This is your official guide to a successful settlement in the Northwest Territories. 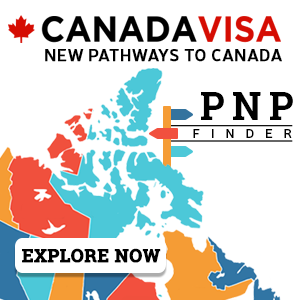 Included in this landing guide you will find contact information for each service agency that you will require to begin your new life in the Northwest Territories, whether you are moving to the city of Yellowknife or the surrounding areas. Learn more about life in the Northwest Territories. 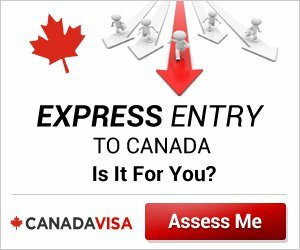 Ensure your credentials are assessed with the Canadian Centre for International Credentials. Register with appropriate territorial regulatory organization for your profession, where applicable. Register for language classes, if required, to improve English or French language skills. Following these steps will ensure that you are prepared to begin working in the Northwest Territories. Open an account at a local bank or financial institution as soon as you can after you arrive. Popular banks in Canada: HSBC, Scotia Bank, Royal Bank of Canada (RBC), Bank of Montreal (BMO), TD Canada Trust, the Canadian Imperial Bank of Commerce (CIBC), National Bank of Canada, and Desjardins Bank. Canadian Money is made of cents and dollars. There are 100 cents in 1 Canadian dollar. Currency is found in coins of 1 cent ($0.01) called the "penny" which is no longer used in commercial transactions, 5 cents ($0.05) called the "nickel", 10 cents ($0.10) called the "dime", 25 cents ($0.25) called the "quarter", 1 dollar ($1.00) called the "loonie" for the Canadian loon featured on the coin, and a two dollar ($2.00) coin called the "twoonie" as it is the equivalent of two loonies. Bills, or paper currency, are found in denominations of five dollars ($5.00), ten dollars ($10.00), twenty dollars ($20.00), fifty dollars ($50.00) and one hundred dollars ($100.00). Children under 16 must be registered for school. Schooling generally begins at age four or five. Most children stay in school until they finish high school, generally at 18 years of age. The Canadian public school system is generally divided into three levels: Elementary, Secondary and Post-Secondary, either college or university. Some districts or private schools may organize their grade levels differently, though education standards are regulated by the provincial government. The academic year for all levels of education begins in September and runs through June for elementary and secondary students, and to April for college and university students. Standard holidays include Christmas and New Years holidays in December and January, and a spring break in either March or April. For complete information on post-secondary education visit the Study in Canada Guide. There are multiple different housing options across Canada. If you have not visited to your new city previously, it may be best to rent a temporary apartment when you first arrive, and/or hire a real estate agent to guide you through the housing process and provide you with knowledgeable advice on the best areas for you and your family. Apartment buildings are large, multi-unit buildings owned by one person or company where each inhabitant rents a unit. Studio or bachelor apartments are generally one room with a kitchen area and bathroom and are suited only for a single individual. Larger apartments can accommodate families as they have bedrooms and additional living space. Though average living costs vary given size of family, location and level of income, housing is generally more expensive in cities. As a result, many families choose to live in suburbs which are towns located just outside of the city limits, where housing is more affordable. Suburbs often provide good neighbourhoods, schools, shopping, and healthcare, all within close proximity to the amenities of the city. Housing in the country can be even less expensive and is desirable for many families, but you will require a vehicle in order to travel for your basic needs including groceries, work, school, and healthcare. Pets: If you are renting your home or live in a condominium, it is important that you ensure pets are legally allowed on the premises before you move in with your family pet, or purchase a family pet. Summers can be mild in the Northwest Territories, but it can be very cold in the winter, when temperatures can go below -30, even -40 degrees Celsius. It is very important to ensure that you are prepared for the cold weather. Invest in warm winter clothing, including sweaters, winter jackets, boots, hats, scarves and gloves or mittens. If you do not dress warmly in the winter you will risk becoming ill or getting frost bite. Frost bite is severe damage to the skin caused by winter wind exposure. Canadians keep candles and matches, warm blankets, flash lights, first aid kits, and small snow shovels in their cars and homes in case of emergencies. In most parts of Canada your car must have specially designated winter tires in order to legally, and safely, drive in the winter. In emergency situations, dial 911. When you dial 911, you are connected with an operator who will assist you and dispatch emergency services to your location if necessary.